Taking the PONCE out of poetry. THURSDAY 31ST JULY at THE ROEBUCK 50 Great Dover Street, London SE1. 8.30 start. 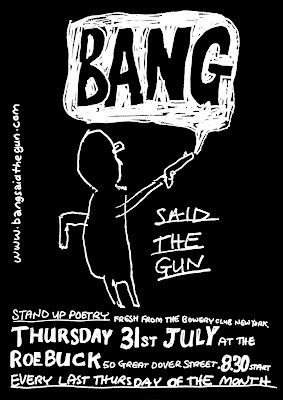 I don't know much about poetry but I do know there's good times to be had at Bang Said the Gun. We're obviously all friends around these parts. Let's face it you wouldn't just send photos of yourself across the internet to just any old stranger would you? What would your mother say? Or Aunt Pat for that matter? You know how new technology really boils her blood ever since the unfortunate episode where she got that job standing in as Sam Beckett on Quantum Leap and had to parade around as the drunkard, womanising deputy sheriff of some backwater town in 1868. 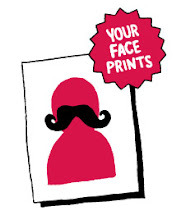 Yourface has stretched out its welcoming arms and is now waiting eagerly your warm embrace as we make our friendship official myspace/facebook style. Does anyone use their portrait as a myspace or facebook profile image? 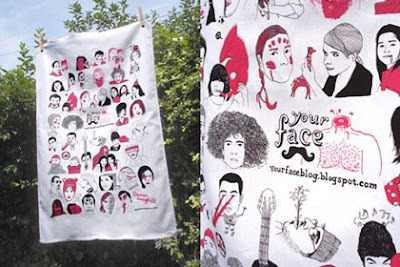 Your Face tea towels are being printed as I type and will be available 1st August. You have lovingly restored that original period fireplace and now you probably need something to hang above it (or burn inside it) and what could be better than a print of somebody you will never meet? Archival Digital prints of all of the faces are now available here. 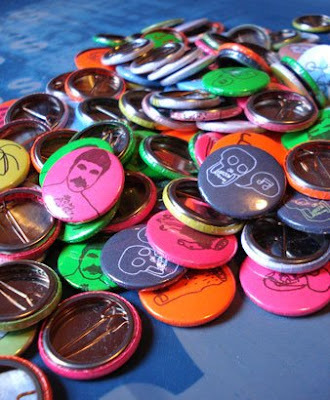 The mystery bag of badges is now just a bag full of empty mystery. It also turns out that I hadn't really thought through the idea of people just sending a stamped addressed envelope and me filling it with badges and putting it back in the post. It's definitely not that simple. Especially if you're trying it from abroad. Anyone not from the UK who emailed about the badges should save yourselves the hassle - just send me your address and I'll sort out the rest. Musical facial hair. Surely this will catch on. 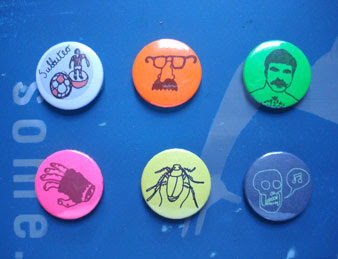 I've found a long-forgotten bag of pin badges hiding away in my room. 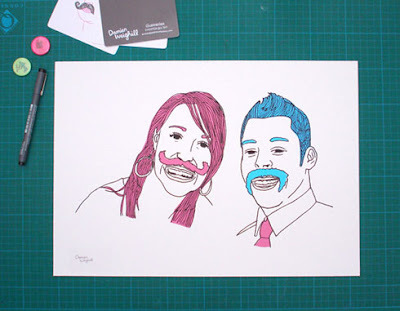 They feature pretty random drawings ranging from Y-fronts to pocket calculators and even a few which are graced with the glorious face of Tom Selleck. Anyone who would like to get hold of a handful of these can send me a Stamped Addressed Envelope and I'll get them straight in the post to you. send me an email to the usual address if you're interested. First come, first served. To continue our musical odyssey.